Hanieh “Sharareh” Farshi Shotorban arrested in Tabriz for Facebook Activities. Security forces in Tabriz entered Sharareh’s home and, after searching the area and confiscating her personal items like her computer and phone, they arrested her at 6:00am on July 18, 2010. 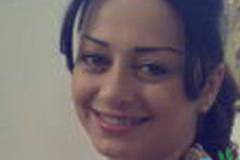 She was taken to a detention centre run by the Tabriz Ministry of Intelligence. Later, she was transferred to Evin prison. Her charges include “insulting what is sacred” and “having contacts with a foreign entity”. It is believed that her charges are related to her Facebook membership and activities. Sharareh Farshi Shotorban has no history of political activism.